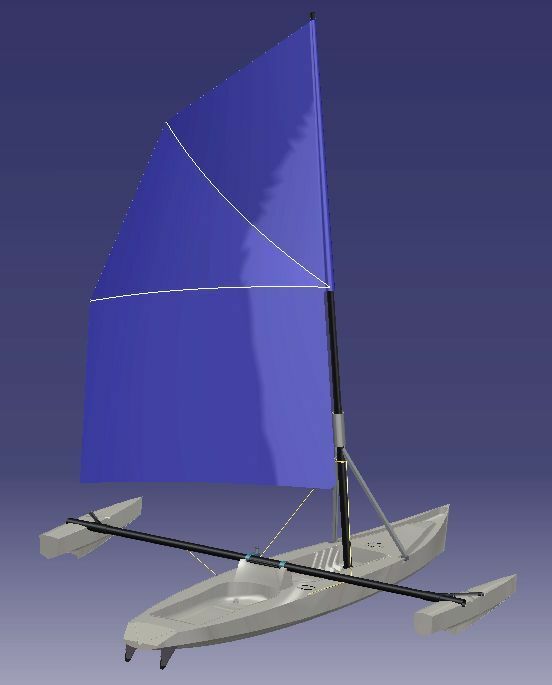 The minimum size application of WINDYAK concept for a very large public. 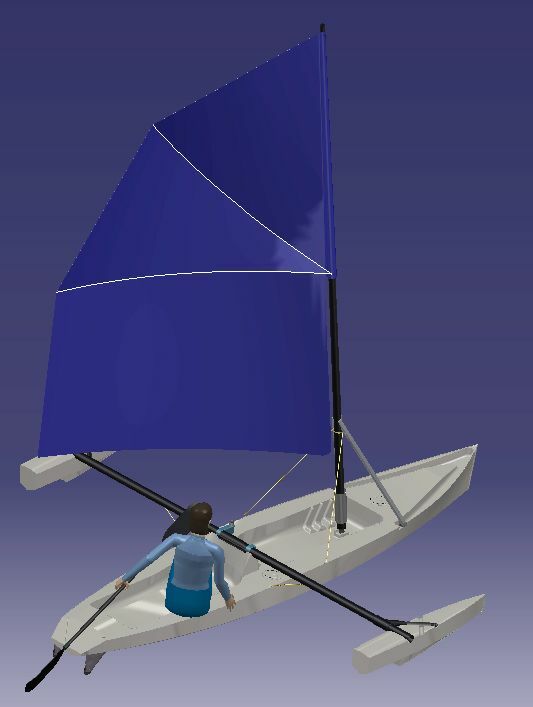 The ideal boat for a family afternoon on the shore. 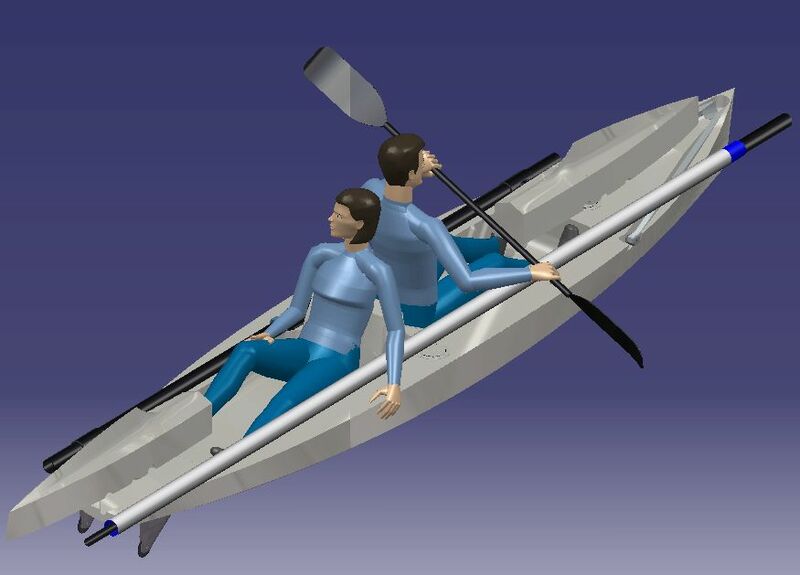 Limited size no longer allows to have two paddlers seats. 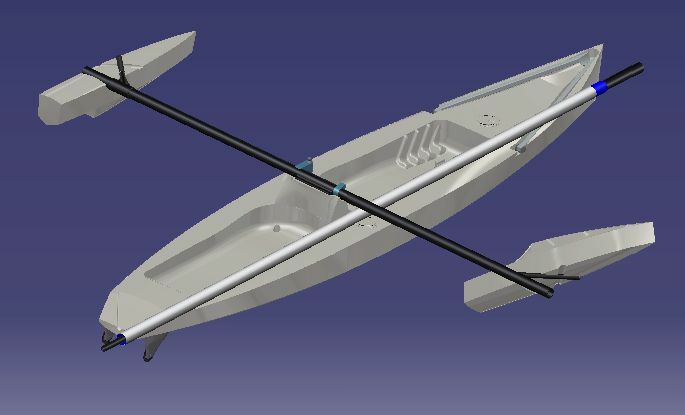 Beam support located behind the paddler is used as a back to board for a one hour cruise a passenger, comfortably laid turned to the back. 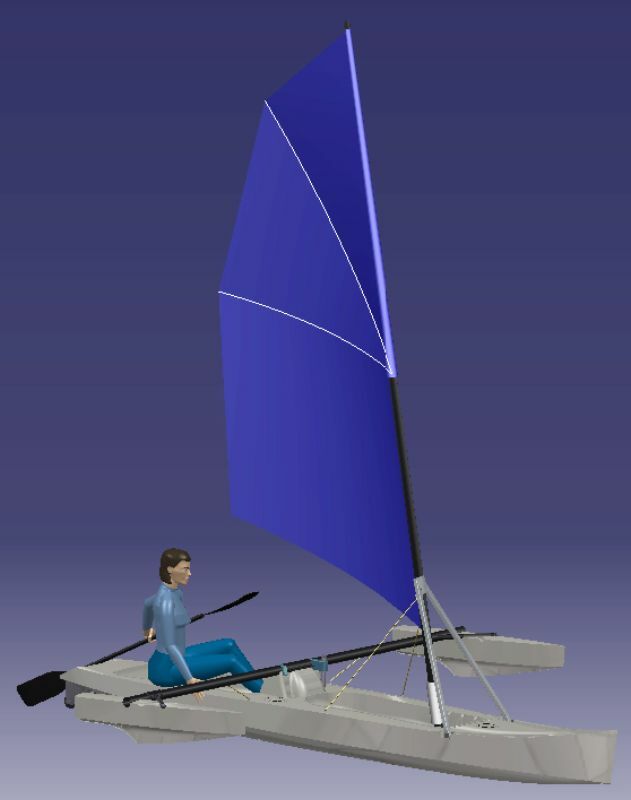 When sailing, he moves to the fore seat, while the helmsman goes to the rear cockpit, and seats when windy on the beam. 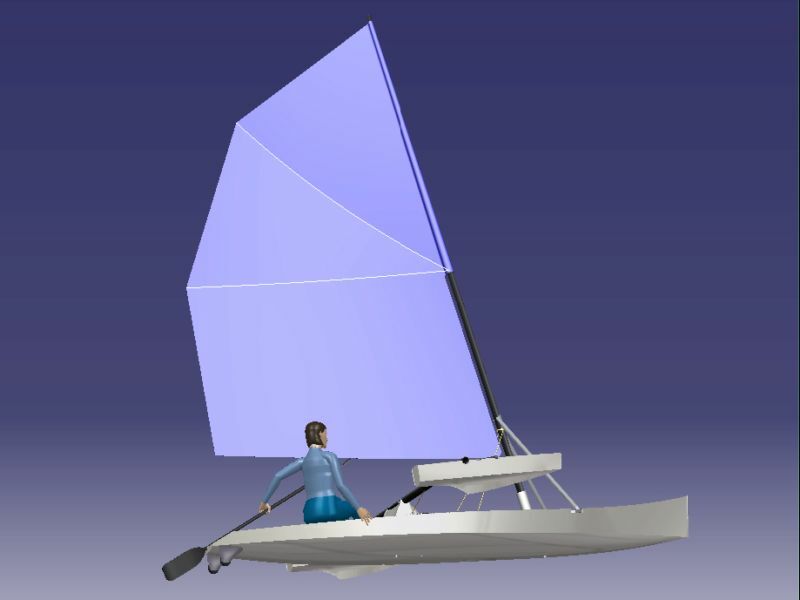 Hull’s length remains sufficient to have good fun when sailing single-handed. 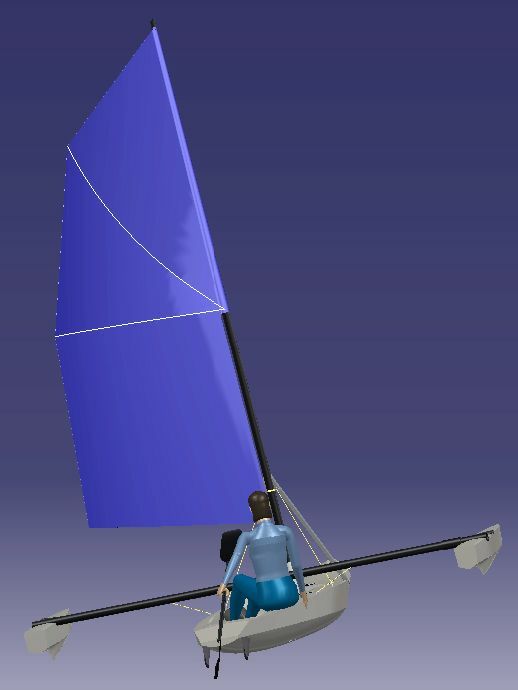 The beam rotates to the back for unfolding, and the paddle is used as a rudder for steering when sailing. 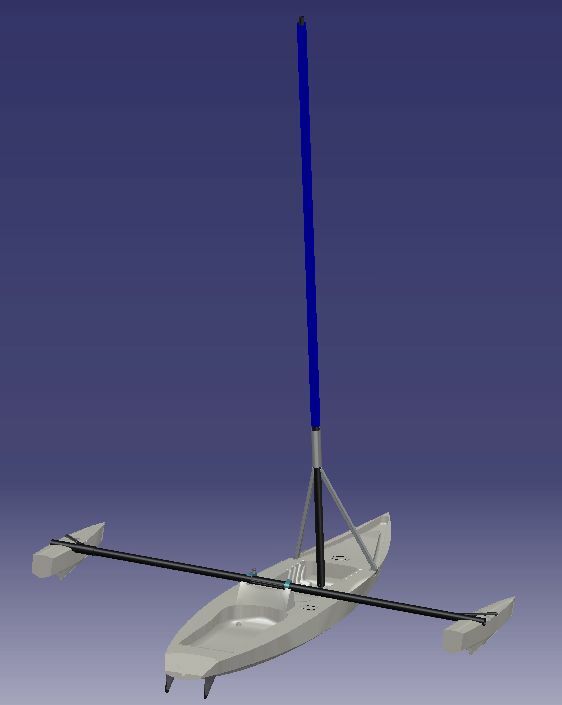 Reduced size allows to keep a reasonable weight with polyethylene building, for an easy loading and possible carrying on nearly any car. 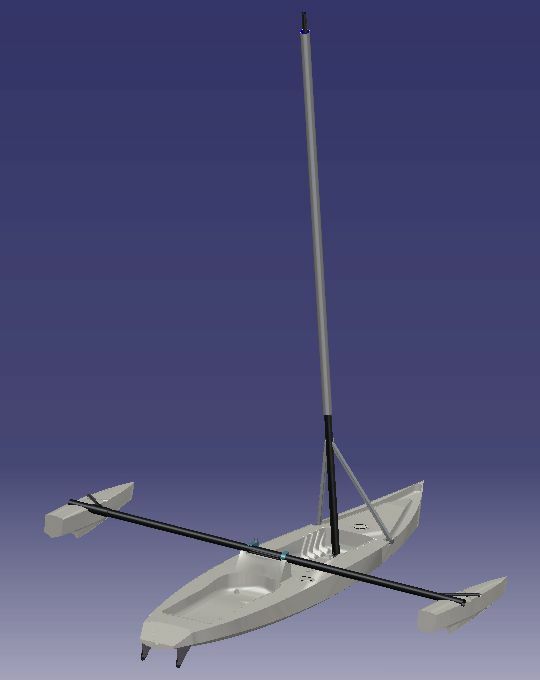 The beam can be transported fully assembled, for a faster mounting. 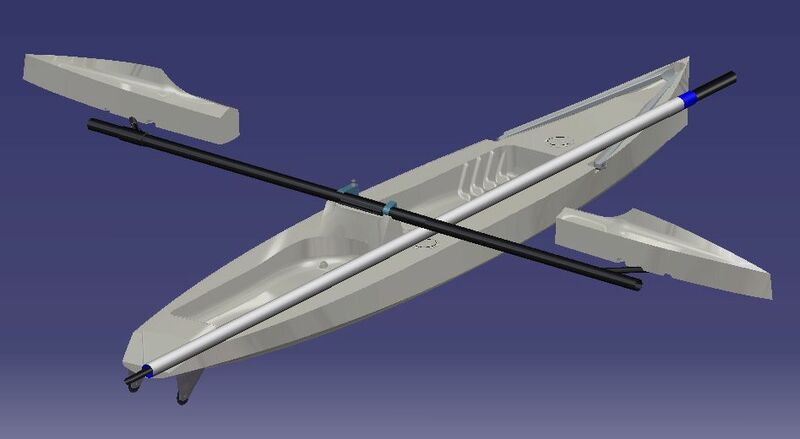 To ease handling ashore, the boat can be pulled using a fore handle, and haulage is possible thanks to castors mounted on two lateral fins set at the extreme rear of the hull. 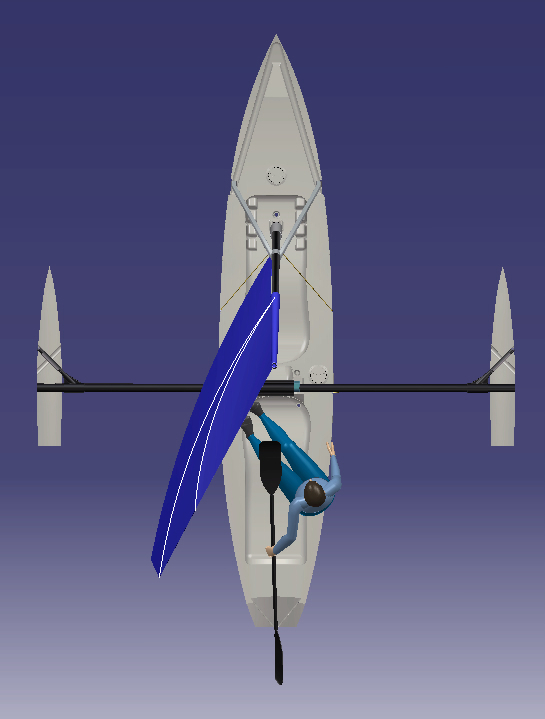 Draught : 0,15 m (Anti-drifting is ensured by a fin integrated to each float). 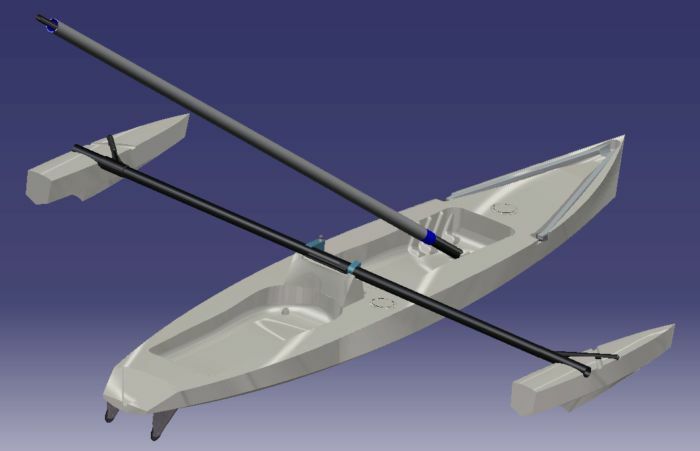 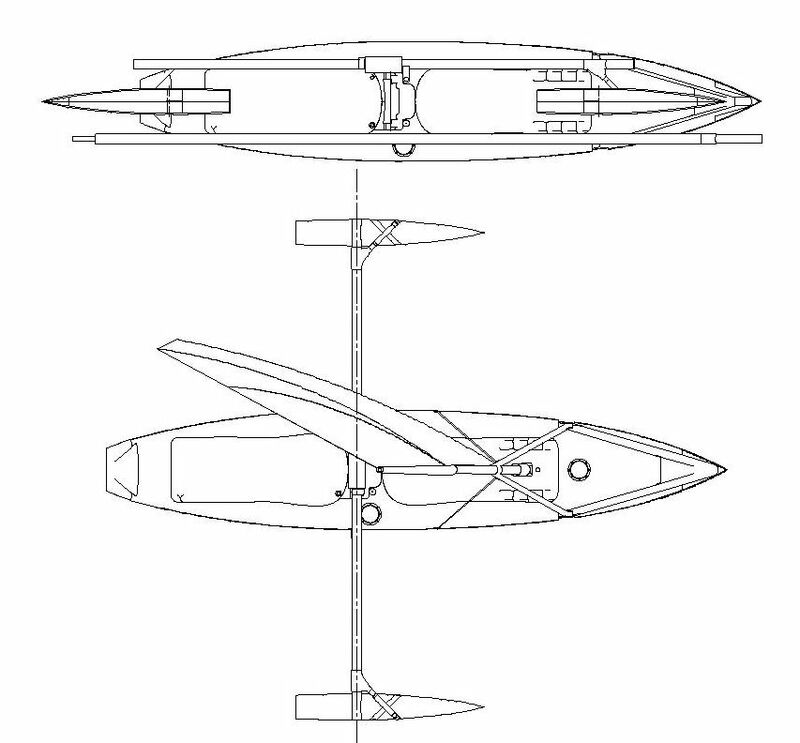 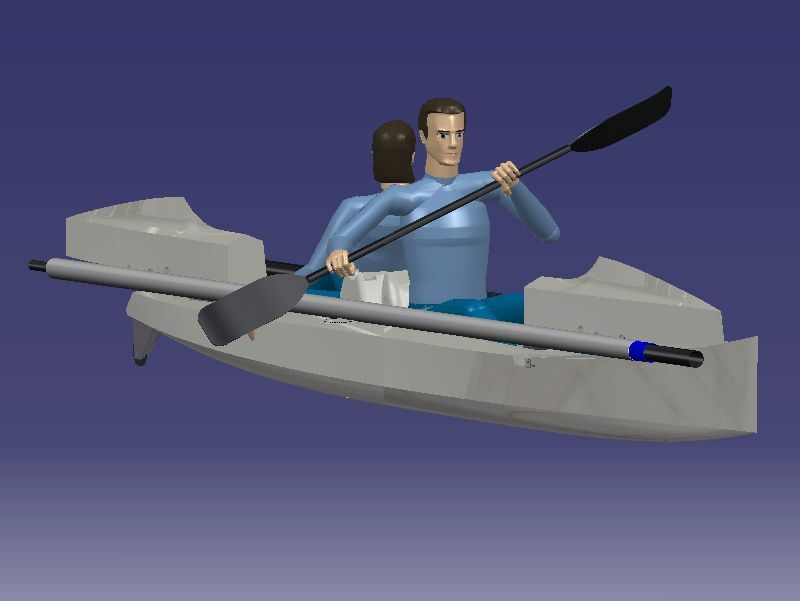 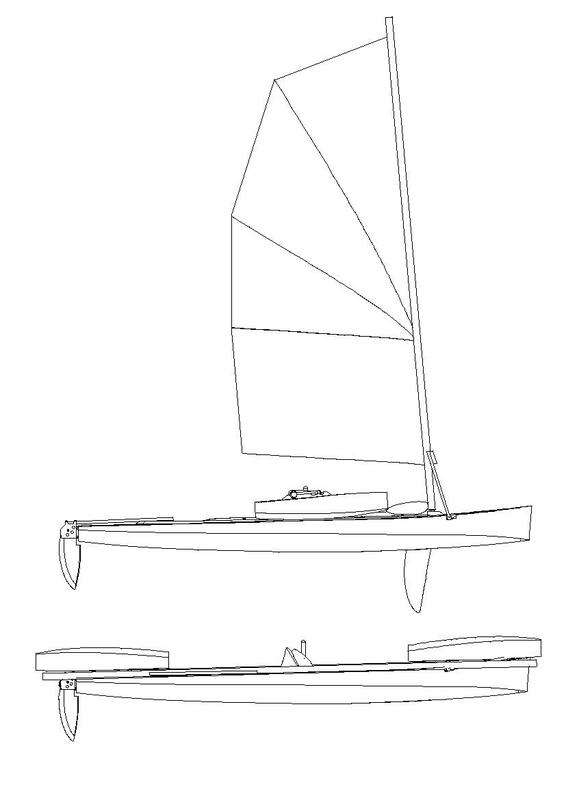 Polyethylene hull and floats, aluminium beam, fiberglass windsurf mast.